I was introduced to the concept of Meatless Monday in 2011, during my first graduate residency at Goddard College in Plainfield, Vermont. If you’re unfamiliar with the term – as I was at the time – Meatless Monday is a global movement that seeks to promote greater health and environmental sustainability by simply choosing to forgo meat on Mondays. I was initially intrigued by the campaign, but by the time I returned home from residency and plunged into my first semester of graduate work, it was long forgotten. After all, I was already submerged in the vegan lifestyle, which meant all my days were meatless. I’ve been noticing some references to Meatless Monday over the past few months, primarily via social media, but I don’t see them as often as I’d like to. I thoroughly support the vision behind the movement, but I realize that if you typically consume meat at each meal, the idea of removing it, even just for one day, can seem a bit implausible. After all, what will you eat? I mean, who wants to nosh on carrot sticks and lettuce all day? That sounds terrible. Plus, you’ll be ravenous by the time Tuesday rolls around, right? I’ve been bouncing back-and-forth between a vegan and vegetarian diet for years now, and as zany as the idea may seem to a carnivore, it’s totally possible, dare I even say easy to put together delicious and satisfying meals sans meat. In an effort to raise awareness, and to promote the myriad of health and environmental benefits that are a direct result of cutting down on meat consumption, The Excellent Adventures of Miss P will feature a recipe and/or an applicable lifestyle piece each Monday. 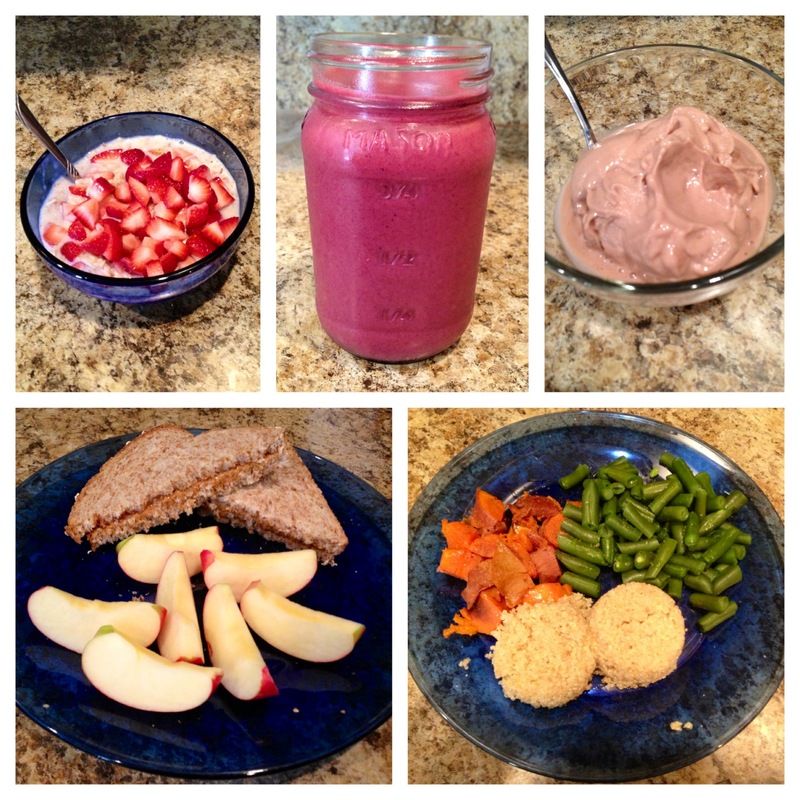 We welcome you to share your favorite meat-free recipe(s) with us at: excellentadventuresofmissp@gmail.com. We may even feature some of these recipes on the blog (with your permission, of course). This week, I’d like to talk about the nutritional benefits of homemade soups and stews; both are a staple in our home for many reasons. I’ve always loved soup, but it wasn’t until I stopped stocking up on sodium and preservative laden cans of it and started making it myself – with pure unprocessed ingredients – that it became a health food. Most soups and stews are easy to make, and recipes tend to be forgiving of substitutions and additions, meaning you probably already have everything you need to prepare a big pot without making a trip to the store. Soups and stews also provide an excellent opportunity to sneak in a plethora of nutrient-dense foods to ensure you’re getting the most out of your meal. (Think loads of filling fiber, plentiful protein and an array of vitamins and minerals just to name a few.) As a side note, I use organic ingredients whenever possible, and I try to avoid adding canned foods as said cans are usually lined with Bisphenol-A (BPA). Although many sources have cited BPA as safe in small amounts, I tend to air on the side of caution when it comes to chemicals my family will be ingesting. I make soup every week, so there’s always a fresh batch hanging out in our refrigerator ready be ladled into a sauce pan and reheated. I also like to keep an assortment of these soups in the freezer along with staple-ingredients, such as broth and beans, to drastically reduce the likelihood of having to reach for a can. 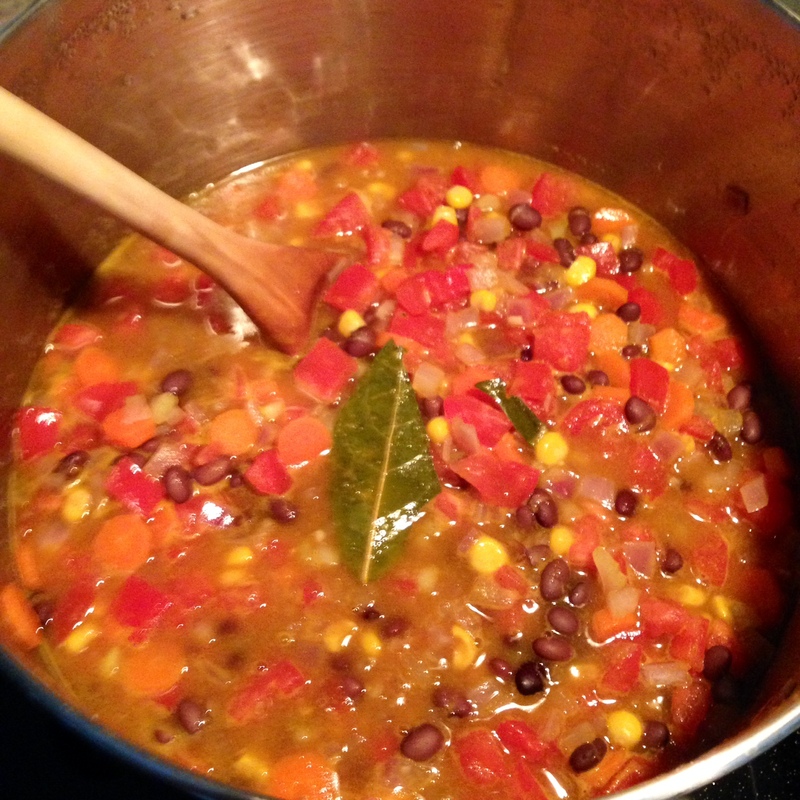 For our first Meatless Monday post, I’d like to share the recipe for one of my absolute favorite black bean soups. I love black beans; they’re loaded with iron (20% of your daily intake per 1-cup serving), fiber and protein, and they’re extremely versatile. Plus, they taste terrific. I hope you’ll give this soup a try! This recipe is a modified version of the Zesty Black Bean Soup from Whole Foods Market’s website; my version omits some of the prepackaged ingredients and adds a couple superstars to the mix. 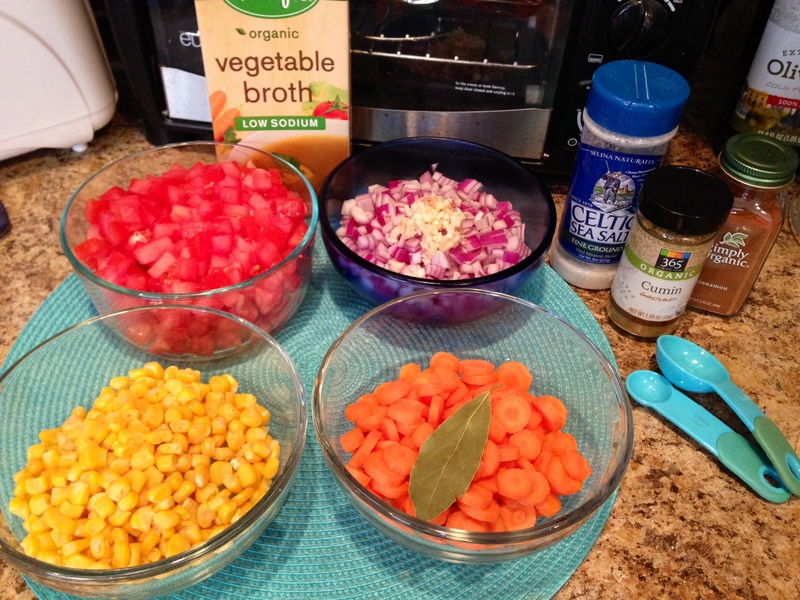 This soup is nutrient dense and fast and simple to make. The spice-blend of cinnamon and cumin lends an unexpected and exotic flair. Heat oil in a large pot over medium heat. Add carrots, bay leaf and salt and cook until carrots are just tender, about 7 minutes. Add onions and garlic and cook 5 minutes more. Add cumin, cinnamon, beans, corn, tomatoes and broth and bring to a boil. Reduce heat and simmer until tomatoes reduce (about 20 minutes). Stir in cilantro. Serve. Note: This soup keeps well in the refrigerator; it also freezes well! This soup can be served with additional cilantro, lime wedges, hot sauce, sour cream… the possibilities are endless. Add cooked rice or quinoa to transform your bowl of soup into a hearty meal. Mmmm! All those colorful fresh-chopped veggies make me want to drool on my keyboard. Also- I prefer making my own broth, but I was a bit short on time this week. 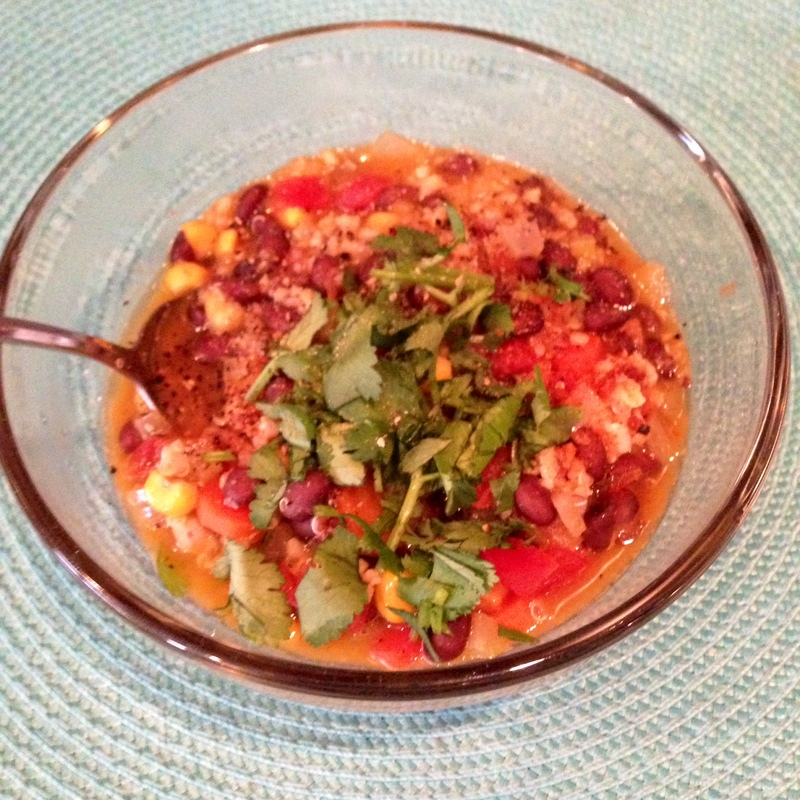 Black bean soup w/super grain blend (red & white quinoa, buckwheat & millet) & fresh cilantro. Delish! Have a Marvelous Meatless Monday!